No matter the reason you’ve ended up in St. Kitts, some type of guided tour should be included in the midst of all the fun in the sun activities already on the itinerary. There’s no reason to just experience the ordinary tourist’s view of hotel chains and fast food restaurants because St. Kitts is full of rich history and stunning views that are just waiting to be explored. 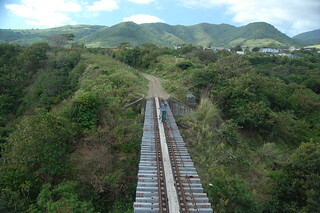 The island has remained very cognizant of the over-development that has happened on other islands, and thus has worked to maintain a healthy balance of “natural” and more off-beat attractions. What better way to really invest the time during your stay in St. Kitts than to check out the local tours provided. Whether its by two rails, four wheels, or via sky cable, any of these tours will leave you with stories to tell – and the satisfaction to enjoy a relaxing afternoon in the beach feeling accomplished! This is a great way to get a feel for the St. Kitts local community. This tour includes a guided taxi ride around the island, in which your taxi driver will fill you in with all the history and weird facts most guide books would leave out. (Hint: be sure to ask if you’re looking for any special souvenirs, cheap margaritas, etc. – these guys know all the latest news.) Most of the Kitts taxi drivers have been in the business 15-20 years+ so you’re sure to receive plenty of special attention delivered in a style one can only describe as humorous. Now this takes having a ‘bird’s eye view’ to a whole new level! This is quite an exciting and unique way to tour parts of the island’s Rainforest, as you are dangling up to 250ft above ground the whole time! There are five different cable lines to choose from ranging all the way up to over 1350ft long where you can really get an exceptional view of the Wingfield Estate located within the St. Kitts rainforest. The tour guides assigned to assist with this excursion will also share plenty of interesting facts about this part of the island as you zoom by some very scenic viewpoints. 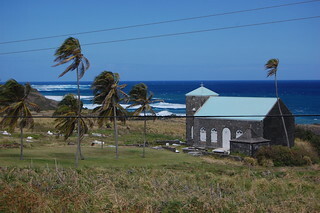 These are just a couple of the many different ways to have a look-see around the island of St. Kitts. If you just aren’t feeling that excited about these options, there are tons of walking tours that allow to get some fresh air, exercise, as well as a spot of sightseeing. The options and intensity vary, so check out the brochures when you get settled and see what piques your interest. St. Kitts has so much to offer, so book yourself at least one day away from the sun lounger – you’ll appreciate it so much more.